Did you ever look at an iOS device as it got a notification? Have you ever noticed that the screen lights up and that the notification can be displayed on the lock screen and thought that you would love to see that happen on your Android™ device? 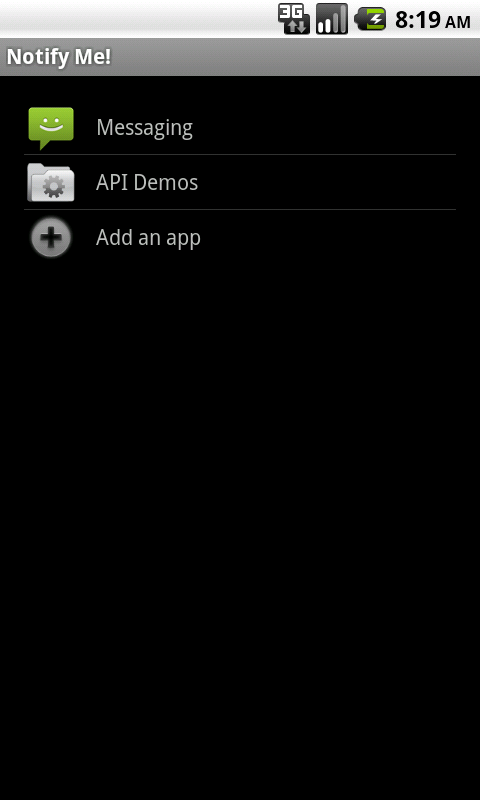 Well, I did and thus created this app - my first complete Android™ app. 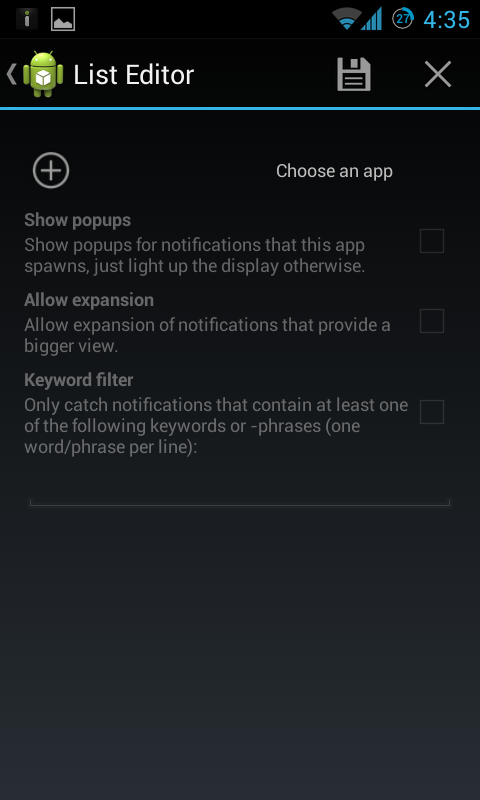 It lets you create a list of apps that are allowed to light the screen up and show their notifications on it as a popup in front of your lock screen. 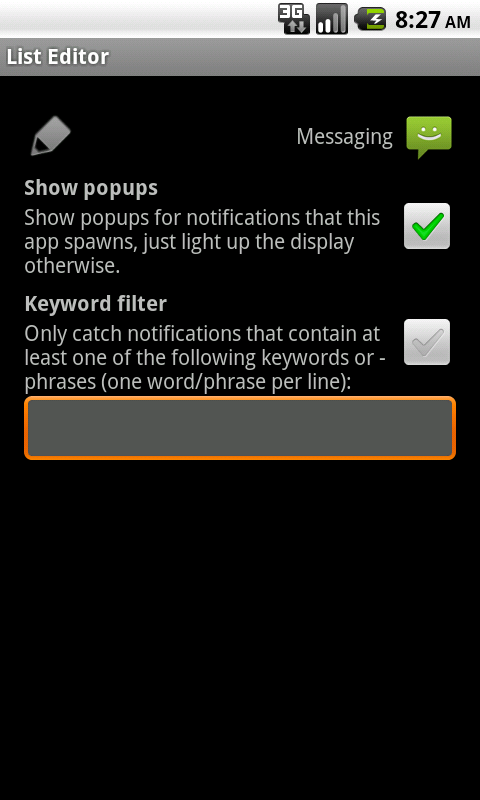 You may restrict the creation of the notification popups per app and decide to only show notifications that contain keywords of your choice. Everything that it takes for it to work is its activation as an AccessibilityService. If you think that this is what you want to use, grab the latest release here or via the QR-code below - it's free (as in "free beer"). If you want to have a look at the source code, you can do this at Google Code, because this software is also free software (yes, "free" as in "freedom"), released under the GPLv3. I would highly appreciate if someone could come up with an icon that I can use for this app, as I'm not much of a graphics guy and I've no idea for an icon myself. Questions left? Just give it a try and I'm sure they will be answered. If not: this is a forum, leave your questions here, I'll do my best to answer them. Bug reports, ideas for the future and an icon are also welcome. Until then, enjoy! Yours TpmKranz. If you want to view a notification, you no longer have to unlock the screen manually (unless you have a secure lock screen, of course). I removed logcat messages that were forgotten in the last release, including one that could infringe your privacy, so you better update. Notification popups should be fixed now, they also resemble the actual notifications more. 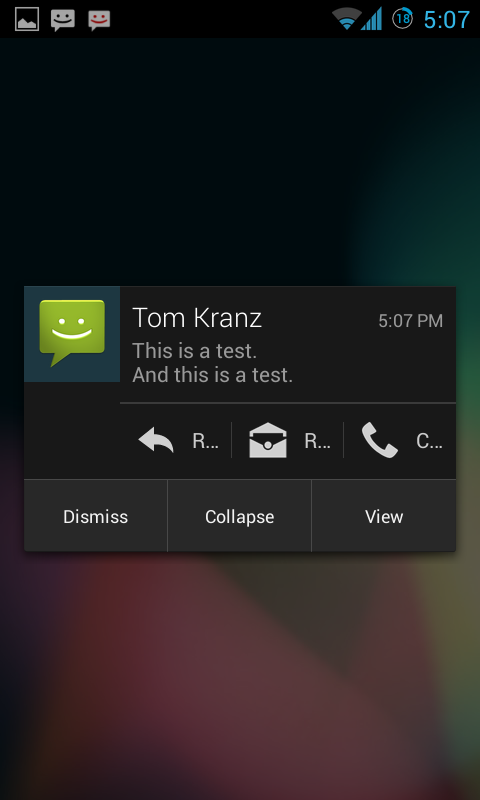 Added ability to use a slider to interact with the notification popup. This is not completely mature, yet. It is usable and I didn't encounter any bugs, but it doesn't look very good at the moment. 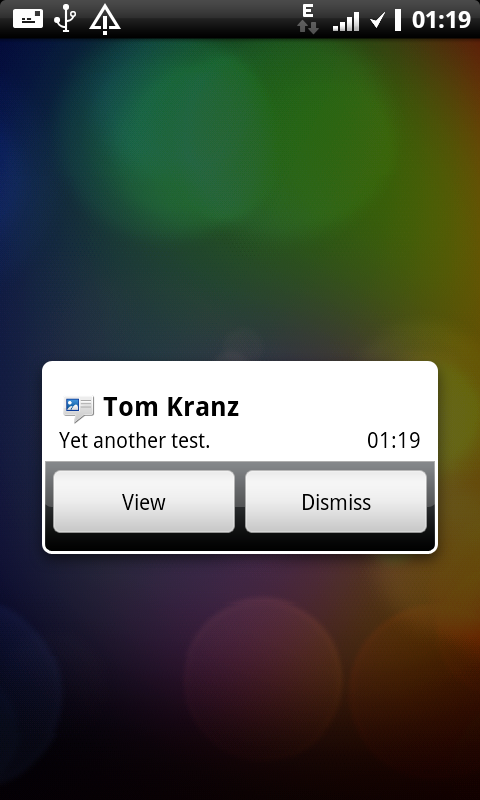 Lowered minimum SDK version to 7 (runs on Android 2.1 now). Made slider background customizable (defaults to 0xffffff on Android < 3, 0x181818 otherwise). App picker is now sorted alphabetically. 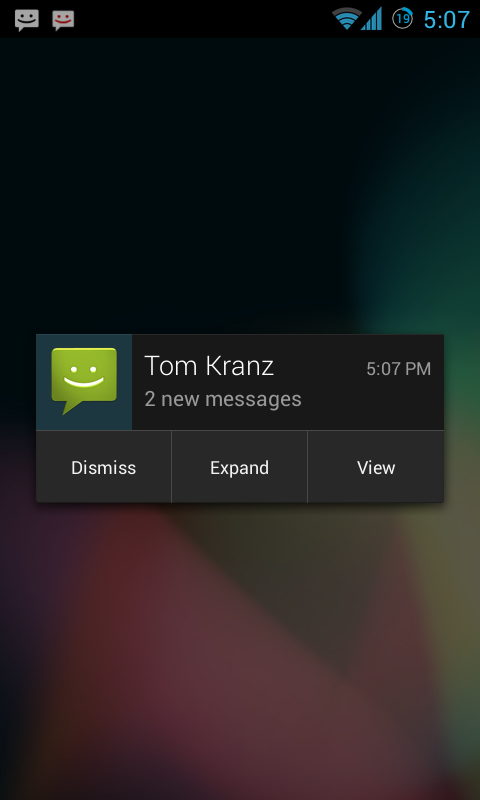 Added ability to control if a notification lights up the display. Added ability to default to an expanded view of a notification. Added option for aggressive popups. Added custom screen timeout for popups. Reduced frequency of app list reloads. 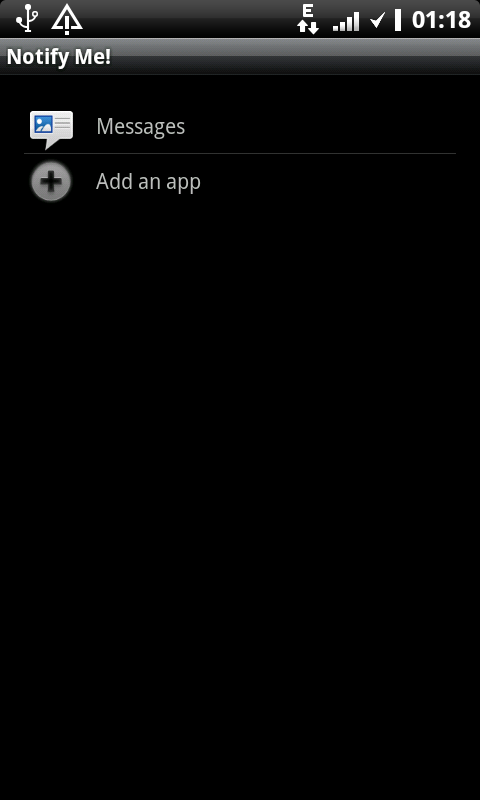 Merged NotificationActivities (should have fixed bugs). Added icon!!! Thanks to XDA Senior Member thesparky007! Increased frequency of checks for a working accessibility service. Added localizations for German, Spanish (thanks, XDA Senior Member alejobog), Polish (thanks, XDA Senior Member trurl3) and Chinese (thanks, XDA Junior Member zxc123coke). Changed icon, thank you XDA Junior Member taylorcoffelt! 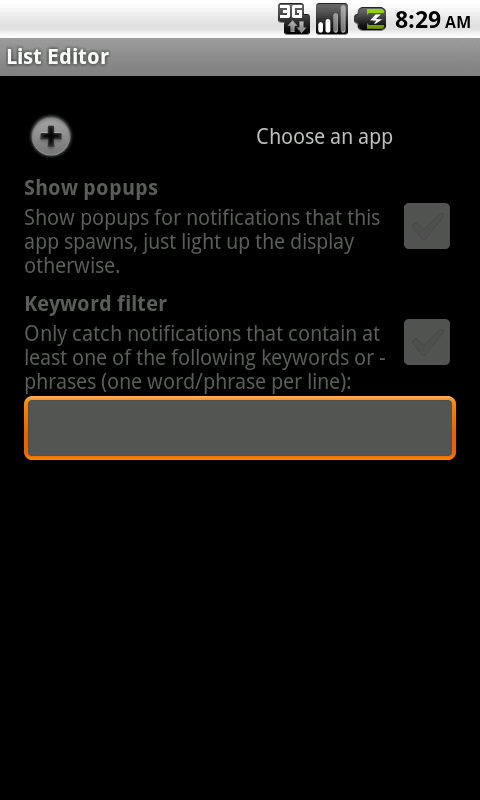 Added option to lock popup's orientation (locked by default). Added option to allow Notify Me! to work during a call. Added blacklist/whitelist switch to keyword filter. Removed obsolete translations (Chinese, Polish, Spanish). (Hopefully) fixed AccessibilityService (except the speech output, that's Samsung’s thing)! 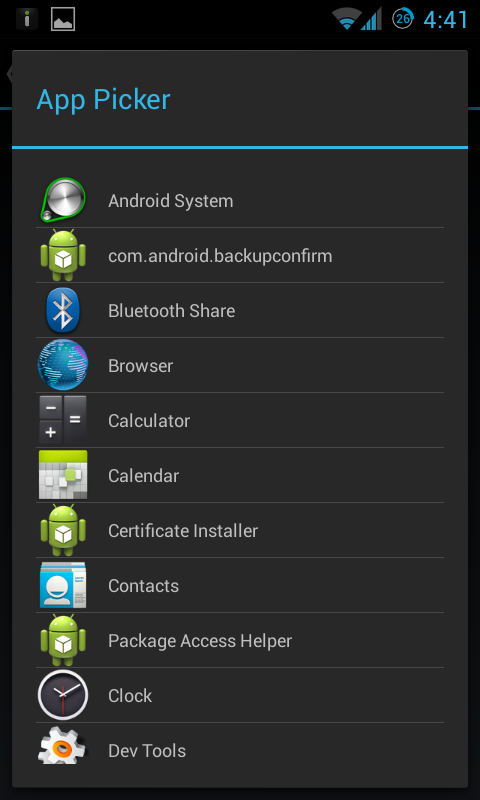 Fixed bugs (especially on ICS). 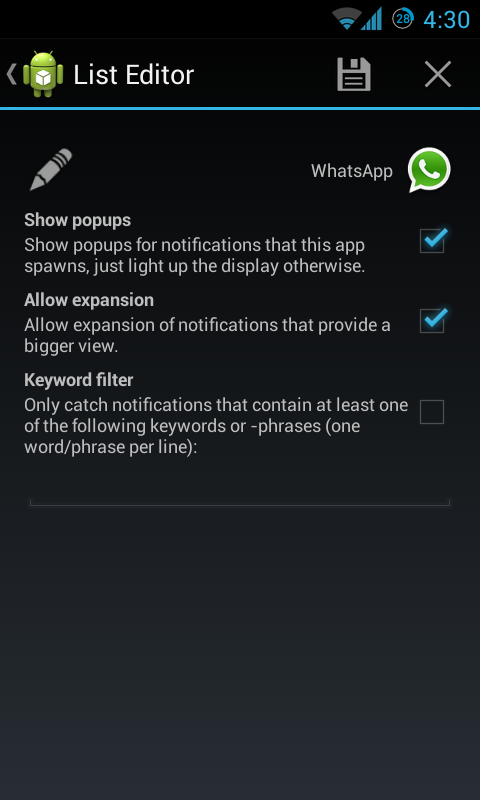 Optimized aggressive popups and orientation locking. Re-added Spanish, Polish and Chinese translations. Fixed 'missing slider interface and app lock-up' bug. Just tested it, looking good! 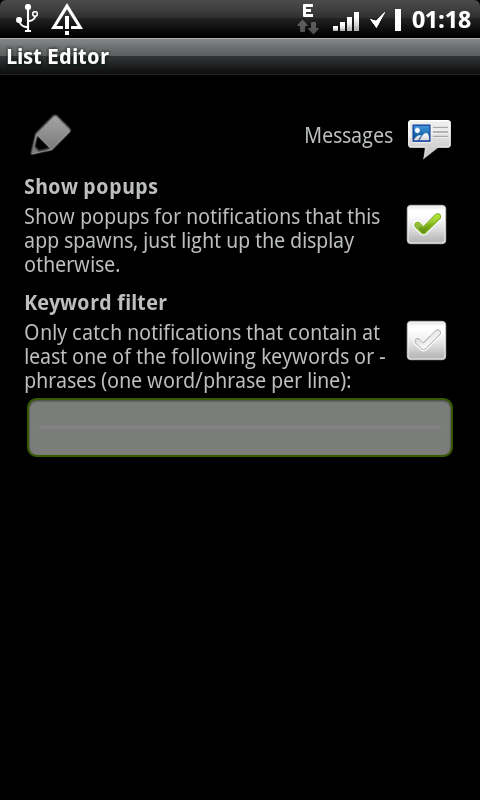 Only "problem" that I saw was not unlocking phone after tapping "View" on popup. And is it possible to hide text from buttons seen on this screen http://i.imgur.com/anWg7Yx.png ? It is large and most of it can't be seen. I already have an idea how to implement an unlock feature - give me some minutes and v1.1 could have it. I don't think it would be possible to remove the text from the buttons, or at least it would be quite complicated and unreliable, as it's actually just the notification's View put in a Dialog and there is a high degree of freedom for developers to create an expanded notification's View - long story short: I don't think it's possible to exactly locate the button's Views and empty the text there, but I could give it a try, eventually. 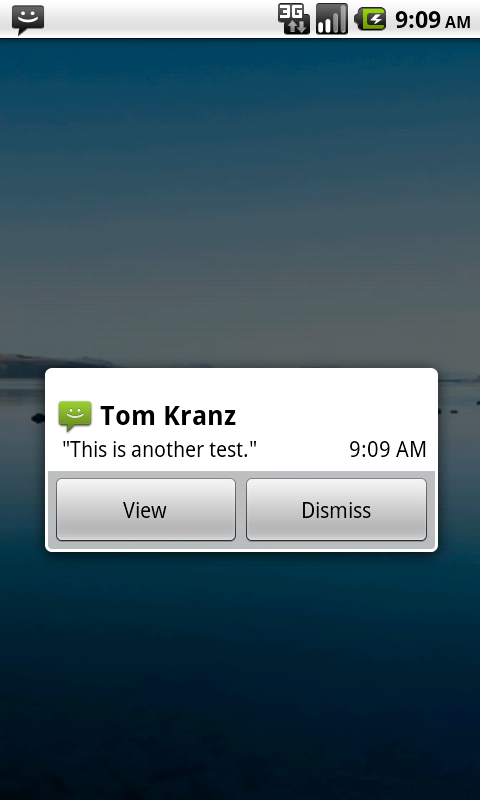 Version 1.1 is out, now it unlocks when you view a notification. EDIT: "here" now links to the correct version (v1.1). You are amazing. Just the thing I have been hunting for so long. The notification is there for a second or two, and suddenly it disappears and all I see is the lockscreen. EDIT: This also happens if multiple notifications are received one after the other. v1.1 working fine for me. Just what I wanted. You made my app of the day! "If I could I would, but I can't so I shan't." For me, too. So the notification sound (vibration, etc...) fires off, the screen lights up, the notification popup appears, then disappears and never comes back again? And all without ANY interaction from you? EDIT: Yeah, found the reason. I'm working on a fix. EDIT2: It's a protection for cases when the system can't retrieve a notification's View to just don't show a popup (for which the View would be needed). I could reproduce it with Facebook Messenger's notifications - can you tell me which apps' notifications cause this for you? 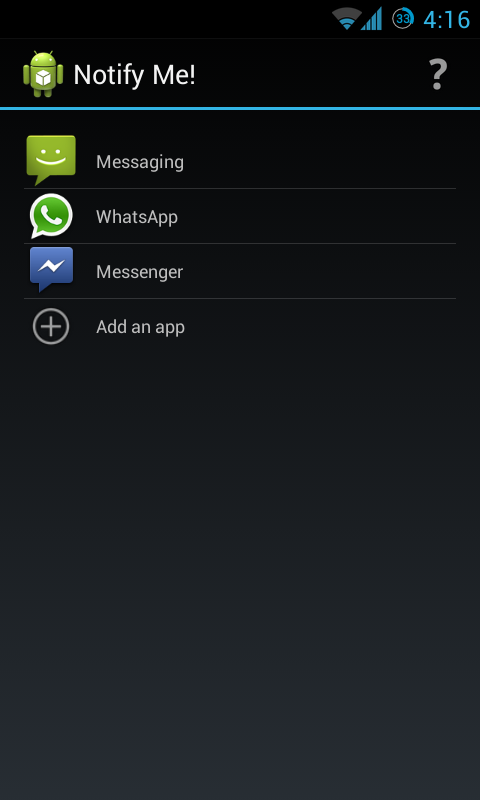 Those Icons are dependent on the messaging app. I use Sliding Messaging Pro, which gives me the freedom to remove those buttons. Nothing of that sort is present in the stock app. [QUOTE=ZordanKV;38671172]Just tested it, looking good! In next build could u sort app names alphabetically and make overall size a lil bigger? If u can implement themes, it would be awesome. One ques:Are missed calls notified? 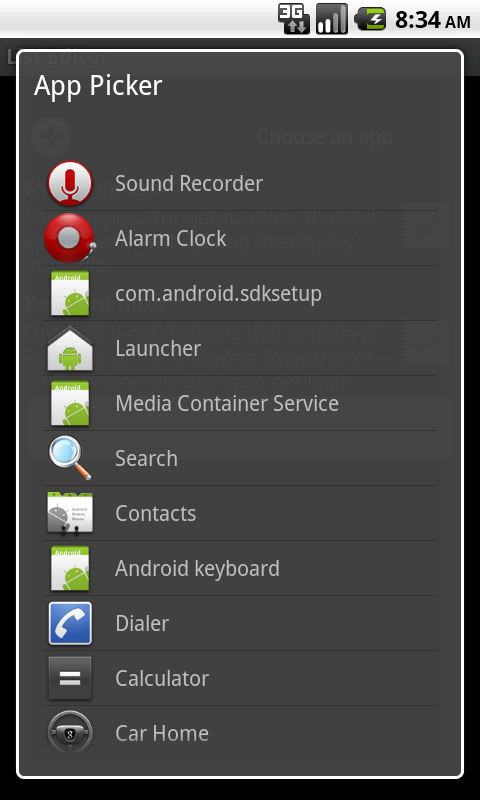 I havent found phone.apk in the list but Ive added contacts.apk and Im not notified of missed calls.